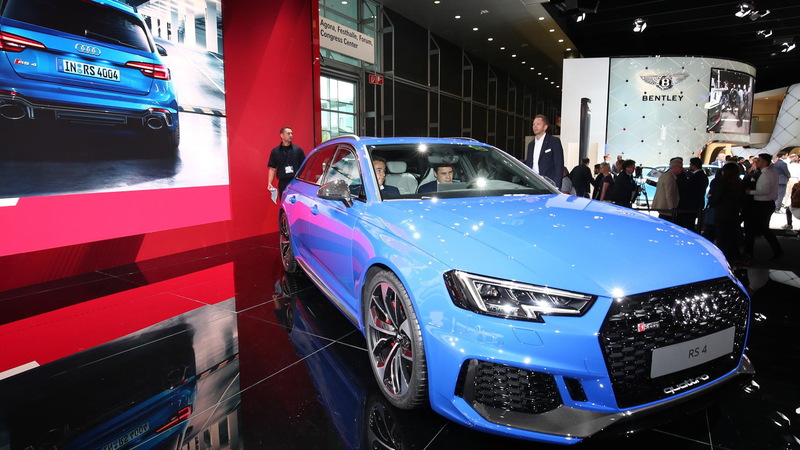 Hot on the heels of Monday’s debut of the new rear-wheel-drive R8 supercar, the Audi Sport division has since revealed a new generation of the RS 4. The vehicle made its debut on Tuesday at the 2017 Frankfurt Motor Show. 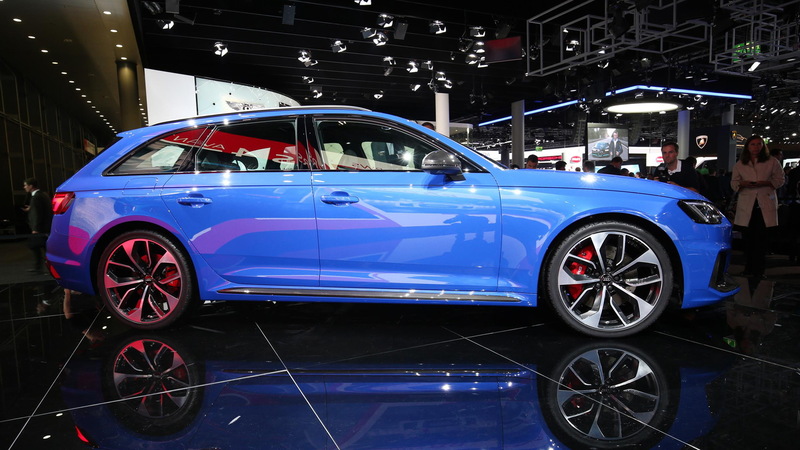 Sadly, the RS 4 is still exclusively a wagon affair, the body style referred to as an Avant by Audi. 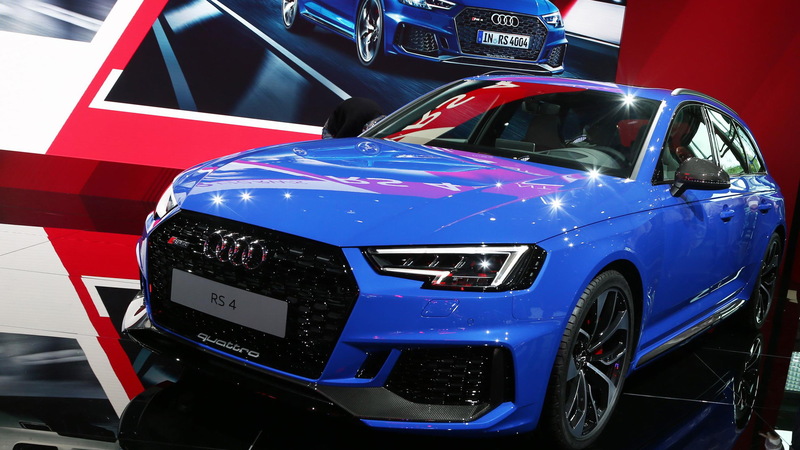 It means we’re likely to miss out on the latest RS 4 in the United States, though we can take some solace in the knowledge that both an RS Q5 and RS 5 Sportback are brewing. And both are a sure bet for our market. A common mechanical package will be found in all three. We’re talking about a 2.9-liter twin-turbocharged V-6 making 450 horsepower and 442 pound-feet of torque. The engine is then mated to an 8-speed automatic transmission and rear-biased all-wheel drive. We recently tested the setup in the RS 5 coupe, which we found brilliantly analog to drive and perfectly capable of serving as a daily driver. 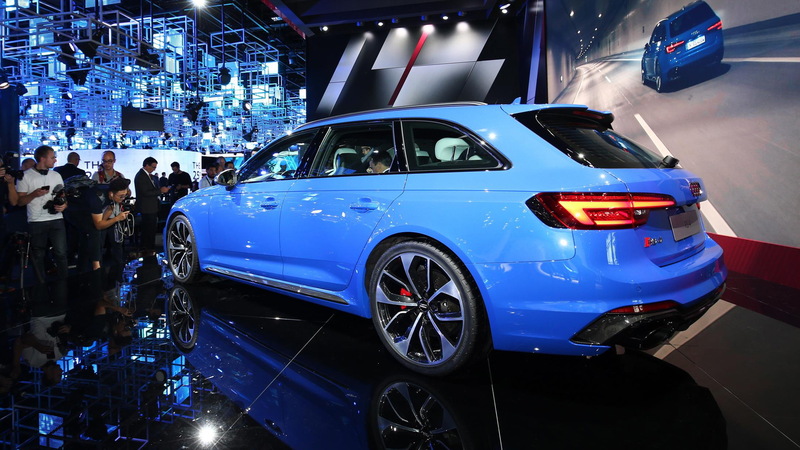 In the RS 4 Avant, the package will deliver 0-62 mph acceleration in 4.1 seconds and a top speed of 155 mph. As an option, buyers can choose to lift the top speed to 174 mph. Sport-tuned suspension with a driving modes selector is standard. However, for optimal handling buyers have the option of a rear differential that splits the torque between the rear wheels. Other performance options include magnetic ride suspension, carbon-ceramic brakes, and RS-specific tuning of the steering. 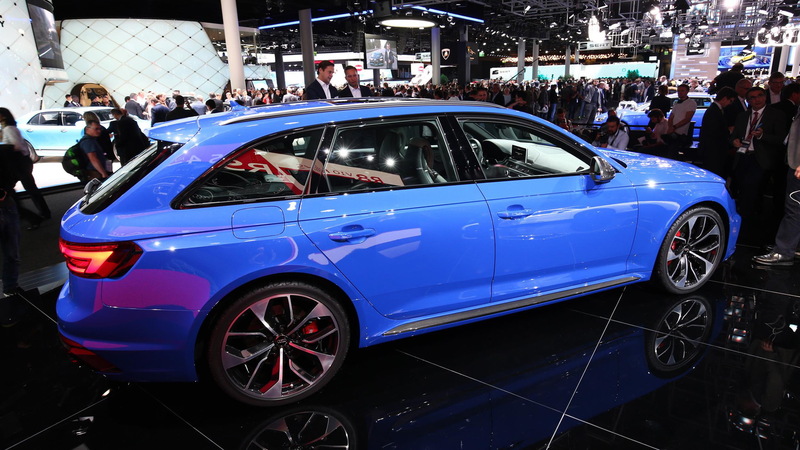 Additional performance gains come from the construction of the MLB platform that underpins the latest A4 range, though the RS 4 Avant is no lightweight. It weighs 3,946 pounds, or 176 pounds less than its predecessor. Inside, you’ll find sport seats with an optional honeycomb pattern, a flat-bottomed multifunction steering wheel lined in leather, and “RS” badging throughout. The digital instrument cluster and head-up display also feature specific RS themes. Deliveries of the RS 4 Avant will start in early 2018.